For some, the idea of mastery is a motivator – something to aim for – while for others, the idea of mastery – especially regarding something like tai chi – is just plainly absurd. Of course, if anyone is stressing over mastering tai chi or doing it perfectly, they are probably missing the point of tai chi. That being said, if you look at all those whom we call Masters in any profession, many have followed a similar path. By recognizing this Pattern of Mastery, you can follow the path of least resistance to achieve your own best. Stage 1 – Get in the Game: Of course, you start by taking a lesson or class. 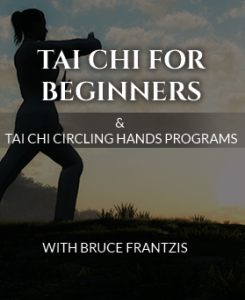 Everyone whom we consider a Master in tai chi had to start with their first lesson. Stage 2 – See What Fits: Once you start, you can adjust. In tai chi you may find that you prefer one style or specific aspect. Stage 3 – Commit to a Class: If you want to be on the road to mastery, then you have to build a regular practice schedule or ritual. I have seen that the sticking point for doing tai chi is when someone learns an entire form. A fail strategy is to try to progress too quickly or not attending a regular class. Stage 4 – Practice Outside Class: You know you are hooked on tai chi when you start to think about it even when you are not at class. You might find yourself in the checkout line of the superstore doing a tai chi move. When you are at the dinner table as you pass a dish you use the tai chi single whip extension. You might find yourself lying in bed at night going through the tai chi form in your head. When you are at this point, often you will start to practice outside of class. The key at this stage is to focus on foundational lessons. A fail strategy at this point is to keep acquiring new moves and NOT practice what you already know outside of class. Stage 5 – Commit to Mastery: I think probably the most important step on the path to mastery that is overlooked is to make the decision to commit to it. If you don’t like the word ‘mastery’ then you can just commit to doing your personal best. Sometimes in my courses I advise students to not let the great become the enemy of the good. What does this mean? This means to accept where you are, without judgement or comparing. Be in the now and present to your tai chi practice, not having to be perfect at it. Focus on the next skill to learn or next piece knowing that as you do so you get better each day. To get to this point, you have to start to love tai chi. Often the ‘Why’ of mastery for many in tai chi brings you to teaching and helping others bring out the joy from tai chi. You may also be motivated because of the way tai chi makes you feel and because of all of its healing benefits. Stage 6 – Face and Overcome Challenges: At this point you have come a long way. But you may either be stuck or you may have outgrown those who are around you. You have to take an honest look at where you are. Have you skipped over any foundation pieces? Do you need to go back and re-learn something? Do you have the patience to continue even when it is boring or not exciting? Do you need to find that next level of teacher? The path to Mastery is not a linear line. You may need to take a different approach. One of the best ways to learn is to teach others. Stage 7 – Re-Inspiration: This is the point where you may need to find a new vision that re-inspires you. Maybe it has to do with how or who you teach. Maybe it has to do with your purpose. My initial reason for doing tai chi has developed over time. At first I was only interested in it so I could improve my fighting skills. As I went through various health challenges, healing with tai chi became my focus. 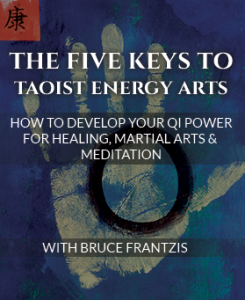 Then, I wanted to find a way to teach tai chi (and qigong) to improve the health of people in the West. Now what most inspires me is do what I can to help the entire field of tai chi. I truly believe tai chi is the Future of Fitness and this is one of the primary reasons I created the Tai Chi Mastery Program. 1) Surround yourself with others who also are committed to mastery. This is the mastermind principle that is so famous. It works. It is even more ideal if you surround yourself with others who are more experienced than you because they will help you bring your level up. 2) Focus on the fundamental pieces and find a way to separate and combine the core elements, one at a time. Work the foundation components over and over until they become second nature to you. In tai chi and other internal arts these foundation pieces are called the 16 neigong (inner energetic techniques). Greatness comes not from advanced techniques, but rather from an understanding of the fundamentals at a deep level. Often, those who are in a rush miss this and eventually hit a glass ceiling. I see this time and time again. 3) Find a Mentor. This is the person who has “been there” before and can see what you need to focus on in the current moment in time. You also don’t always need a mentor that is 20 levels higher than you, he or she may be only a few levels higher. This person may be even better at helping you with where you are at now. When you reach your next higher level, you will need to find your next mentor. In my own life, each of my teachers were preparations for the next higher level teacher. 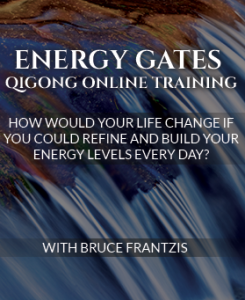 I hope this has been useful to you on your own journey toward personal mastery. I agree with the positive approach to Mastery. I think we should all keep in mind that there s a possibility of progress on this sometimes difficult path. The only think i can add is that it helps to do Tai Chi form for the sake of the form itself – sheer indulgence in its beaty passed down through the ages. Done in this way, the form (neutralizes itself?) avoids being something that can be mastered and appears as a natural artistic and other manifestation of a movement. Thanks! True mastery of tai chi is when one realizes that tai chi has helped him to become more of a master of his thoughts;emotions;and of himself.A true master will see that he has not become a master of tai chi it has become his master and a life line towards his growth physical and mental and spritual.A man can be a tai chi master in a wheelchair but must practice to continue his growth in all aspects mentioned. 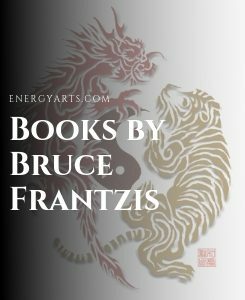 Thank you Master Frantzis. That really explains a lot.